"...the glory that was Greece...", resonated in my mind as I made it early at the Acropolis ticket office, well before opening time at 8 AM. Beyond the visitor's turnstiles, up on a rocky outcrop, lay one of humankind's greatest works, one that dates back so long in time, back in the 5th century BC. This is the Acropolis - the richest symbol of ancient Greece and the country's masterpiece in architectural splendor. It may all be in ruins but there's more to it than what meets the modern eye. Before I got into these beautiful ruins however, my day - excuse the pun - got almost ruined. After showering, I decided to have breakfast at the hotel since the guy at the front desk told me the previous day it is part of Executive Room privilege. There's a buffet spread in the hotel's top floor restaurant with mostly western food. Had some scrambled eggs, sausage and toast along with a cup of coffee. Didn't even bother to take a picture of my very simple meal - what bothered me was when the waiter came handling me a bill for 23 Euros. What &^%$#! I explained to the waiter who advised me to take the matter with the front desk. Which of course I did. There was a different person at the front desk this time who stated breakfast is never free on points stay. I asked how the other person said otherwise. Unfortunately, that guy was off for 2 days. The manager wasn't also yet around. Whether I like it or not, since my credit card was on their file already, I'd be charged for the meal. (I e-mailed Priority Club and the hotel manager e-mailed me back later with an apology). Lesson learned: always verify if something is really free. As I had done the previous day, I took the Metro from Megaro Moussikis station to Monastiraki which is just a short hop away. It's interesting to note how the subway station in Monastiraki has ruins within its belly that's been incorporated into the station itself with its own viewing platform. Once outside, I find the square almost empty at this early hour in the day. Even the shops were still closed. Since the Acropolis draws a huge number of visitors every day, I made a plan to be there the moment it opened (Another possibly less-crowded alternative is to visit late in the afternoon. Either way, this suits well during summer when it gets really hot). From the Monastiraki metro station, I walked up into the hill following the same route as the previous day's walking tour. Promptly at 8 AM, the ticket office opened. I paid 12 Euros and went in as the first visitor to enter that day. Going up the marble steps of the Propylaea heralds one's entrance to the Acropolis - as it has always been since time of antiquity. It's like a teaser of what lay ahead, the main gateway where the march of time has gone for so long it's exciting to imagine the many personalities who went through here: Socrates, Plato, Aristotle, Sophocles, Hippocrates, and other ancient Greeks whose works helped define society as we now know it. Past the gate, the Parthenon immediately grabbed my attention. I'm awed - as usual, it's like seeing a celebrity in flesh (Didn't I say that about the Pyramids in Egypt or the Macchu Picchu in Peru?). This is the structure most people associate the Acropolis with, one that has influenced architects and designers all over the world. If you see Doric, Ionic and Corinthian columns on government buildings, banks or museums, you know where that inspiration came from. 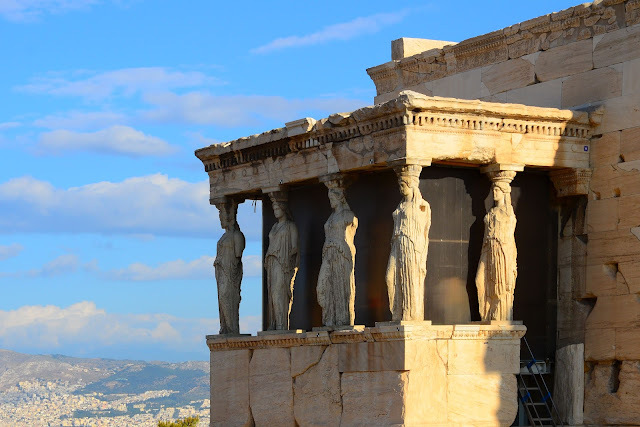 The Parthenon is a temple dedicated to the mythical Greek goddess Athena. It stood loftily then as it is now above an old city that's been regarded as the birthplace of democracy. As times changed, so did the Parthenon, becoming a church (during the Byzantine period), a mosque (during Ottoman empire), a storehouse for gunpowder and, the worst change of all, turning into one heap of rubble that we now see after being hit by artillery fire from the Venetians. About a hundred years later, the infamous Earl of Elgin (Thomas Bruce) came along. 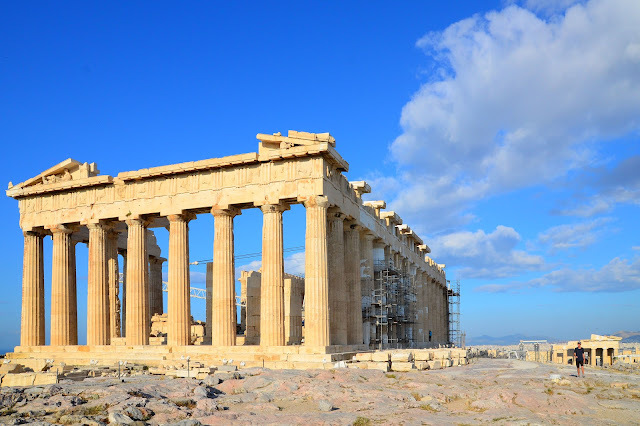 What added insult to Parthenon's injury was the removal of its statues, sculptures, metopes and friezes which the Earl happily shipped back to London. They were later sold to the British Museum where the prized objects, now famously referred to as the "Elgin Marbles", are now on display. The Greeks want them back which has led to a protracted tug-of-war with the British government. Much of the Parthenon is currently undergoing restoration which means the inevitable sight of scaffolding and cranes and men busy at work. It's been going on for years and so will continue for some more years to come. It's not even difficult to spot the white marble applied on the cracks of old ones - with time, this will hopefully get the same patina and blend well with the color of the original structure. While the Parthenon's hulking size makes it masculine, on its northern flank is the much smaller, more feminine temple of Erechtheion. Not surprisingly, the temple's Porch of the Caryatids (or Porch of the Maidens) seem to validate that idea. Never mind if these are currently exact copies - one was carted off by Lord Elgin and the five remaining originals are in the new Acropolis Museum just nearby - they still look very delicate yet graceful in all their draped sensuousness. Despite all the fallen marbles still strewn in many places, the whole complex induces respect and admiration, more so for the people who built them (same as other praise-worthy structures like Abu Simbel, Macchu Picchu, Angkor Wat and Ait Benhaddou). I sauntered off to the eastern side, ever mindful of the uneven terrain, just in time to catch a group of soldiers hoisting a Greek flag sent fluttering above, as if meeting the incredibly blue skies. Down below, all of Athens was just getting ready for another day. After about half an hour just sitting there beneath the flagpole and gawking at the Parthenon, I walked along the southern side where even more restoration work was very visible. Located on a slope below was what's left of the Theatre of Dionysus, dedicated to the Greek god of wine. Nearby is another ancient ampitheater called Odeon of Herodes Atticus, still actively used as a venue of performing arts during summer. Just as I was exiting through the Propylaea, busloads of tourists arrived and shuffled through the now crowded gate. It was only 10 AM and the heat was starting to build up. I headed off to nearby Philopappou Hill. Shaded by trees, it was a pleasant solitary walk up this little hill where an ancient monument stood at the top and where the prison of Socrates is located. But those were not the reason I went up there. It was solely for the view and what a view I had. 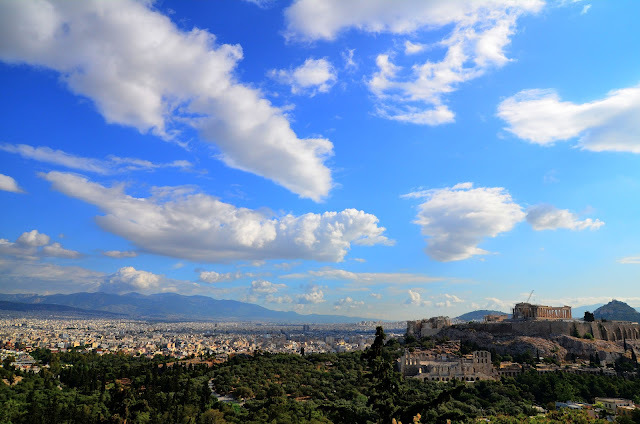 The entire Acropolis seem to lord it over Athens while I stood there alone, enjoying the view in complete tranquility. Wonderful especially since the place is not crawling with pesky cruisers (just kidding). LOL to pesky cruisers! The cruise ships weren't that far away - Piraeus port was visible from Acropolis hahaha! thanks! the Acropolis is truly a sight to behold. Ayos! I still remember the awe I experienced when I saw this in the flesh. It's like, you know these things you only saw until then in encyclopedias, and yet now, they're there, right in front of you, real and as you say, in the flesh! This gooseflesh moment won't be more memorable had I not read about the Acropolis before the trip (guides on site were too expensive hehe!). That evening, my curiosity was piqued all the more and like previous visits to other ancient sites, I Googled everything I could for old photos, illustrations & tales! wow! that all I can say! Inggit mode! Thanks! who doesn't want to? hehe! i am with you in stating there's a great need to verify if something's free more so if it's too-good-to-be-true. i like that shadow-shot at 8AM and the grecian skies simply made me smile and gave me an involuntary deep sigh. Greece is so so lovely. 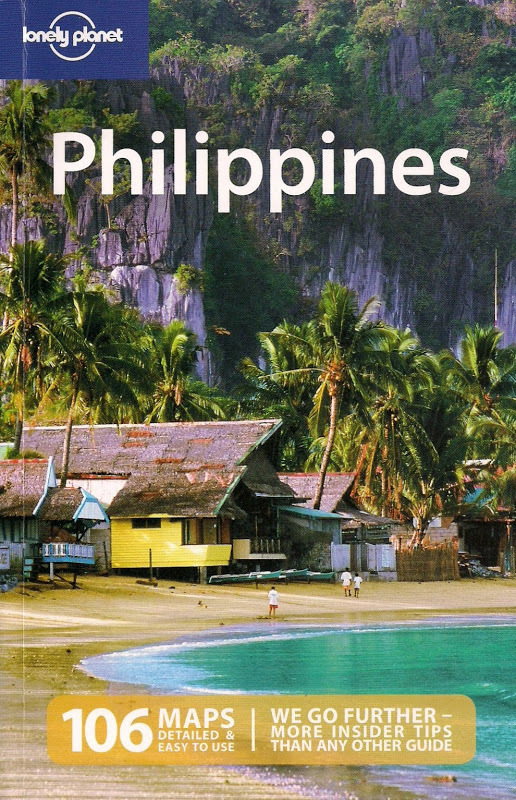 I do hope to be in that place soon, somehow. thank you! it's really easy to capture that shot since the theatre is right below the Parthenon. Lovely photos as usual. 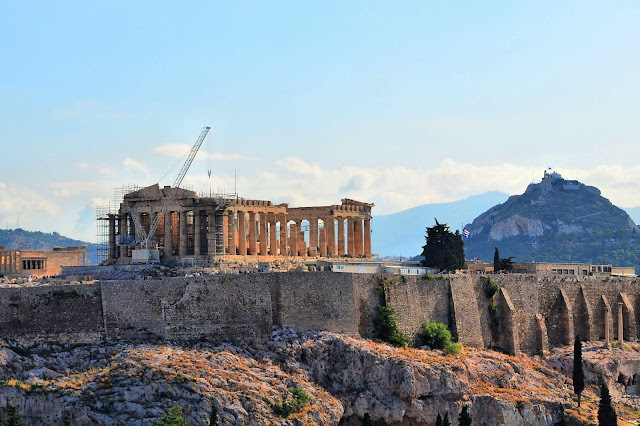 I have yet to write about the Acropolis but I remember my disappointment when I arrived there; it was surrounded by cranes LOL I didn't know that all the original materials had already been moved to the museum. Still, it was a great feeling to be there, esp since there weren't a lot of tourists around!